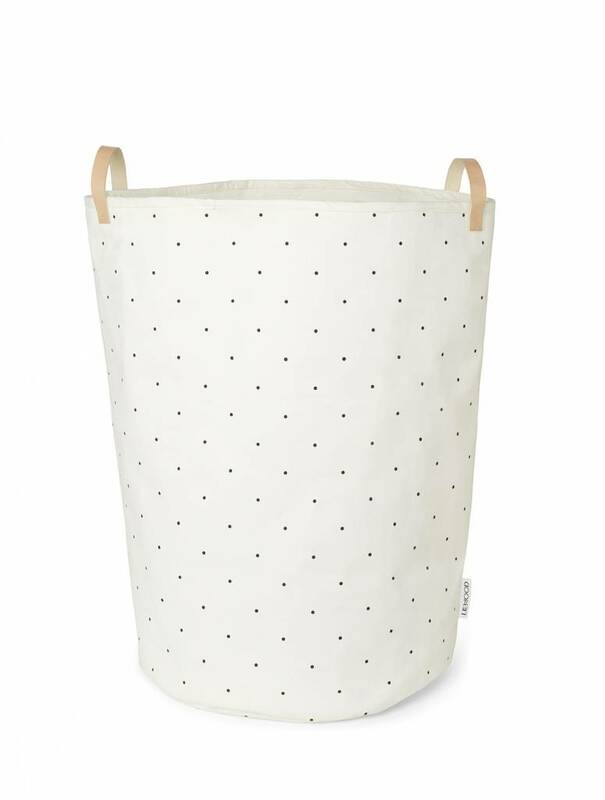 This beautiful large fabric basket with classic dot print is useful for almost anything you like. Use them in the bathroom, kidsroom, bedroom or maybe in the kitchen. 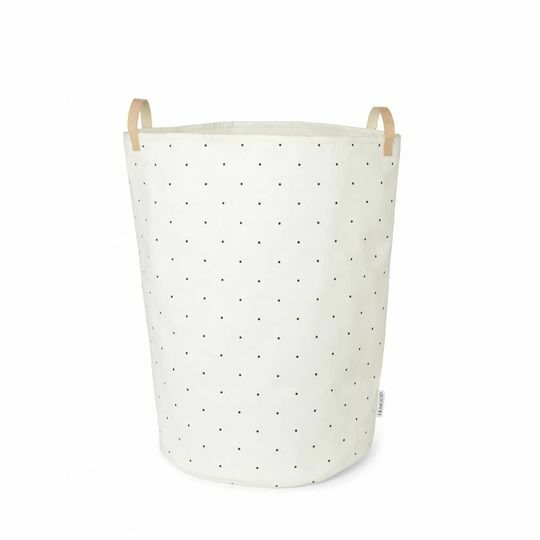 The basket has leather handles. Quality:Cover: 100% organic Cotton canvas.